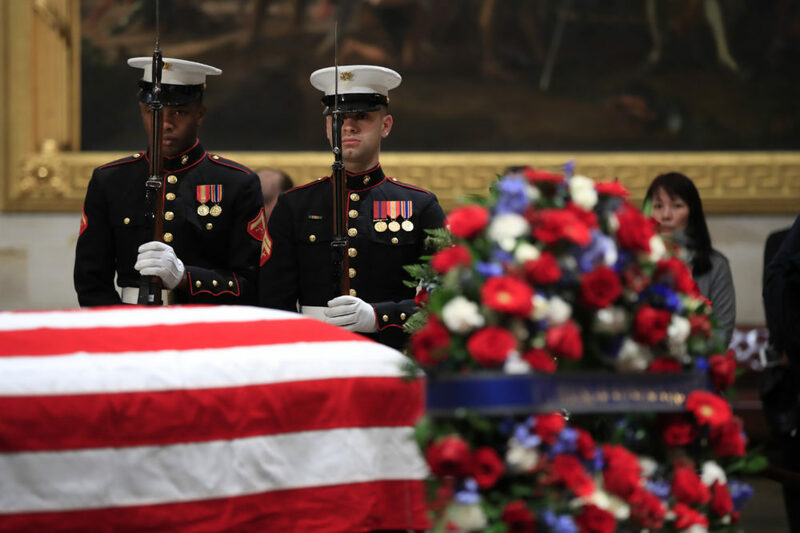 The state funeral for George H.W. Bush, the 41st president of the United States, was held at the Washington National Cathedral earlier Wednesday. All five living U.S. presidents were in attendance. Nancy Cook, White House reporter for POLITICO. She tweets @nancook. Nicholas Burns, professor of the practice of diplomacy and international relations at the Harvard Kennedy School of Government, former NATO ambassador, former director for Soviet Affairs under President George H.W. Bush. He tweets @rnicholasburns.